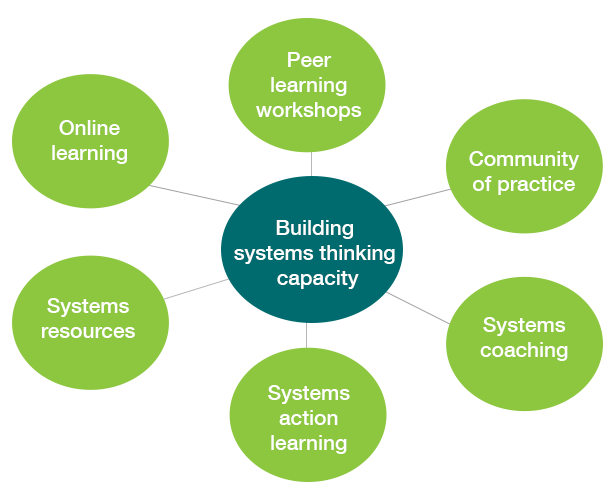 Seanna is the Prevention Centre’s Manager of Systems Thinking and Capacity Building based at Deakin University. 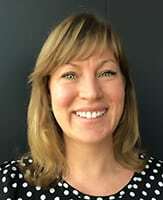 Seanna joins the Centre from the Systemic Governance Research Program at Monash University, where she co-developed and co-delivered a social innovation lab for systems thinking in university curriculum. She also collaborated with community partners to design and deliver systemic inquiries into the fields of chronic disease prevention and natural resources management. A geographer by training, her work draws across disciplines, to explore patterns and change within social spaces. 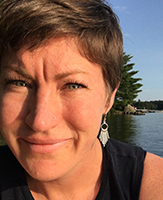 Previously, Seanna worked with the Water Policy and Governance Group and the Institute for Social Innovation and Resilience at the University of Waterloo, Canada. Her academic research is complemented by professional experience across the private, public and not-for-profit sectors and training in facilitation, process design and deep democracy. Design and discussion around systems evaluation approaches to your complex initiative. An inspirational high school teacher in Canada helped Dr Seanna Davidson see that geography was about making sense of the world, setting her on a career path that ultimately laid the groundwork for her current role in systems thinking with the Prevention Centre. In her initial degree, Dr Davidson became interested in environmental management and governance. When she graduated, she started working in water policy and then took a Master’s degree in environmental studies which focused on water governance. “I was very motivated to understand the processes of decision making – who gets to make the decisions and who decides who gets to be a part of that process,” she says. During her PhD, she was exposed to innovative theories and concepts to bring people together around complex problems. She also spent a lot of time developing her own facilitation and hosting capacity by continuing her professional development. In 2015, the Prevention Centre invited her previous research team at Monash University to do some systems workshops to try to define and understand the chronic disease prevention system in Australia. In 2016, Seanna joined the Prevention Centre as Manager of Systems Thinking and Capacity Building. Dr Davidson’s multi-faceted work includes providing systems expertise to research projects such as Prevention Tracker, developing curricula and resources, and delivering capacity building activities for systems thinking. “A team may have a complex problem that they want to sort out, so I’ll design and facilitate a process to unpack that, make sense of it and provide some direction.” For example, it might be an issue around obesity, or collaboration across diverse organisations in the prevention system, or contending with cultural norms and values around alcohol use. When she is not working, Dr Davidson enjoys being physically active in nature. In Canada, she was an avid canoeist. In Australia she surfs, kayaks and hikes.